Hotels are generally tall structures, buildings which is used to stay, to sleep or to take rest when you are far away from home. 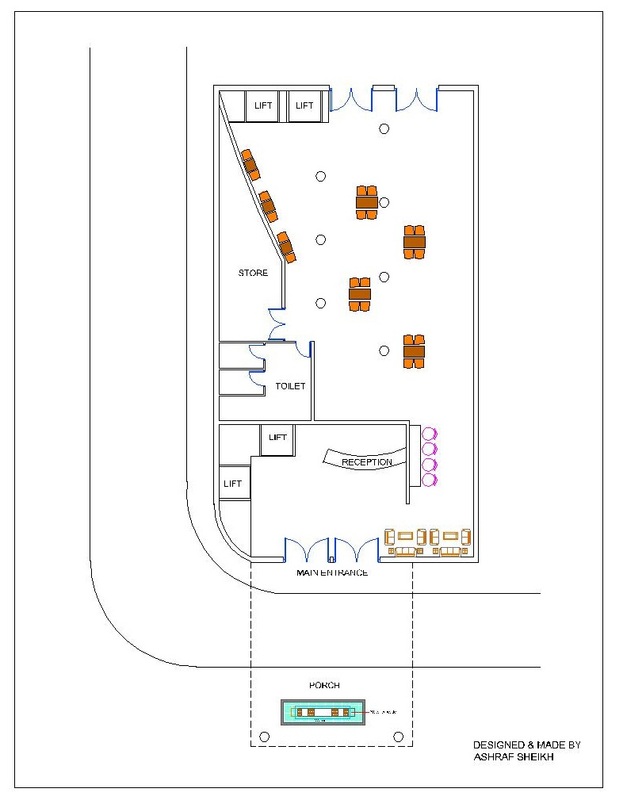 This design consists of large rooms with modern amenities, restaurant area, reception + help desk, readers corner, etc. 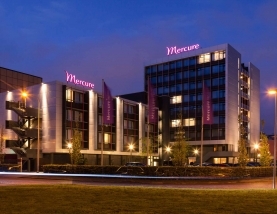 Hotels provide a wide range of facilities like; gym, spa, swimming pool, etc. considering the type of hotel which you are staying in. Low priced hotels provide basic guest facilities whereas high priced hotels provide various different facilities like; swimming pool, gym, health club, spa, etc. The rooms in the hotel are classified on the basis of numbers so that their guests are able to indentify their room easily. 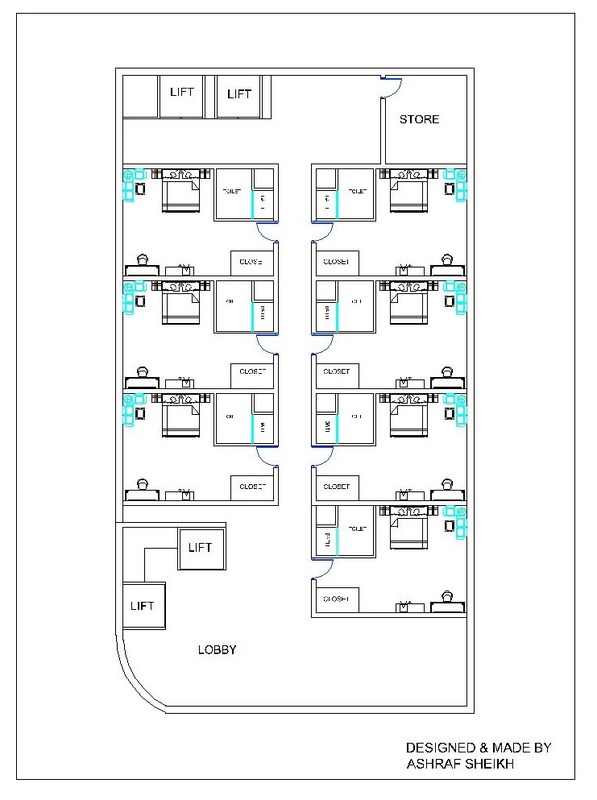 This civil final year projects drawing consist of a layout plan for a hotel which contain a reception area, restaurant, elevators, rooms, gym, etc. 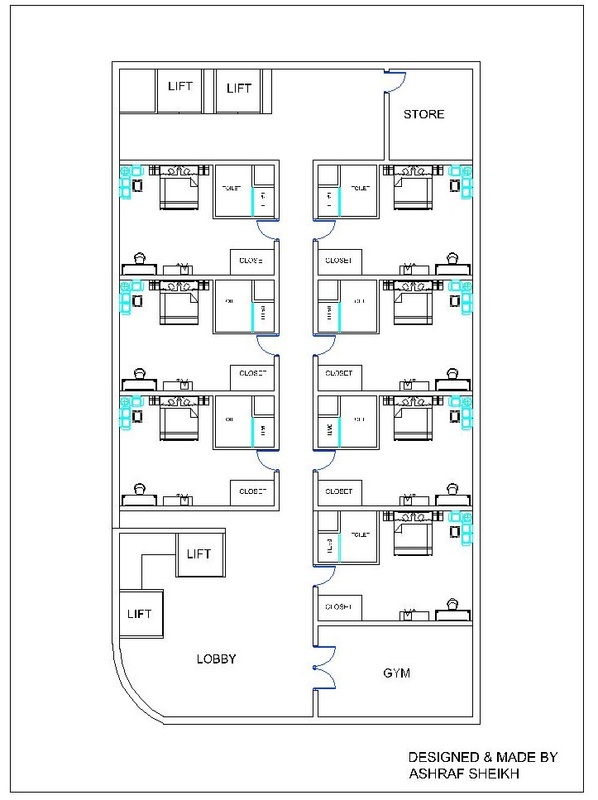 This is designed so that the person staying in the hotel have a easy access to every area of the hotel. This civil final year project drawing consist of hotel made on a large area and with all the modern things, which are required by the individual.